Informed by Ken Wilber’s Integral vision, this curriculum recognizes how you’ve evolved since your relationship with Jesus’ teachings began, and includes everything that’s touched you along the way. By harnessing the evolutionary power of radical, self-emptying love, these teachings help you grow into your deepest, truest self. And it all begins with the question: who are you, right here, right now? We’re all on a spiritual journey. As we mature as individuals, we may find that the spiritual containers that once held and inspired us no longer quite fit. Many of us seek out new traditions and practices as we move beyond our childhood religion. Or perhaps we stay in one lineage, struggling to make room for our evolution within it. As our inquiry gets deeper and broader, we may long for a community that nurtures every stage of our growth. Many of us feel lonely as we work to revitalize our Christian faith for who we are now. As we attempt to bring the teachings of Jesus and the church into our 21st century awareness, we find ourselves seeking a new, shared reality with others. 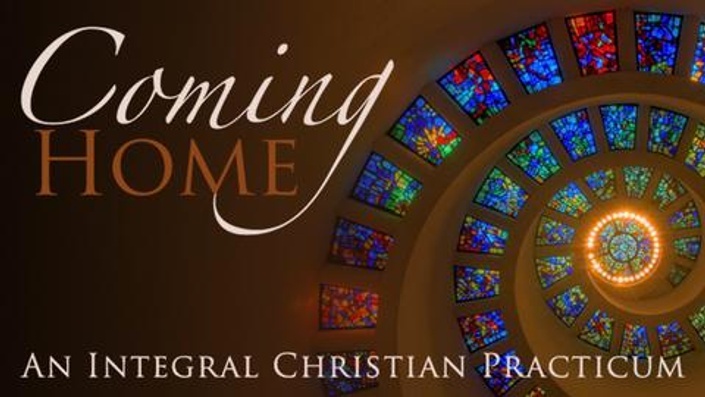 That’s why we have created this comprehensive web-based audio course, Coming Home: An Integral Christian Practicum with Leslie. …your personal story and struggles can open up new potentials for transformation within Christianity, and don’t have to estrange you from this rich tradition. …to engage the transformational Christian path of radical, self-emptying love, hidden in plain sight. …the wisdom teachings of Jesus far surpass the patriarchal, conflict-ridden church that you may have struggled with. …the pulse of modernity—both in the world around you and within yourself—doesn’t render Christian wisdom obsolete, but rather reveals ever deeper levels of awareness for your Christian practice. … classical, arcane teachings like "The Trinity" can be translated anew, revealing practical tools for contemplation and compassionate action. …the Bible and other ancient Christian texts can expand your perspectives of what it means to be Christian in the 21st century. …the feminine face of God completes the more masculine aspects of traditional Christian faith—even as we recognize that ultimately, the divine is not limited by gender. …your revitalized Christian faith can help you make better sense of the challenges facing and within Christianity today. …your personal Christian practice invites you to deeper, more fulfilling relationships—with others, God, and yourself. And that’s just what’s covered in the first half of the Coming Home curriculum! In the second half, Leslie and your fellow participants will help you use all you have discovered during the first half to craft a new, personal, practical vessel for experiencing the Kingdom of God within you and in your relationships with others. While your own practice will be uniquely your own, the Coming Home web course will provide you with suggestions and company on your shared path of continuing Christian discovery. Suggested topics for personal journaling. The supplemental materials for Coming Home help situate this inquiry in a wider context, one that’s grounded in Christianity but also informed by wisdom from many traditions. Ken Wilber’s Integral vision is a powerful tool for making our spiritual lens as broad as possible while also cherishing Jesus’ unique contributions to spiritual practice. The extra audio, video, and text resources Leslie has selected for each module will help you dive even more deeply into the teachings of Coming Home. This ancillary material features books and teachings of many teachers and artists who inspire us in along our Christian path, and include works from Ken Wilber, Rev Cynthia Bourgault , Father Richard Rohr, Marcus Borg, Pema Chodron, Brian Swimme, Thomas Berry, Rollie Stanich and Maya Angelou. "Where two or more are gathered in My name, there is love!" Community is at the heart of the Christian practice. Because Coming Home participants span the globe, we’re offering an easily accessible social space: an on-line Facebook discussion forum. The Coming Home Facebook community welcomes all to share inspirations, inquiries, questions and their favorite audio, video and images that inspire them as Integral Christians. It’s a place to share any triumphs, difficulties, or inquiries that arise as you explore this new way of Be-ing Christian. This revolutionary curriculum is the next step to help you embody Christian wisdom. 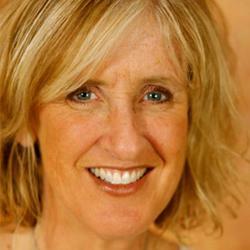 No matter where you are on your spiritual journey, this course is designed to meet you. Whether you have your own contemplative practice already or not, whether you feel alienated by the church you grew up in or still feel perfectly at home there, this Practicum will offer you more understanding, depth, and connection. Save $145 when you enroll in both Coming Home and Between You and Love web courses.